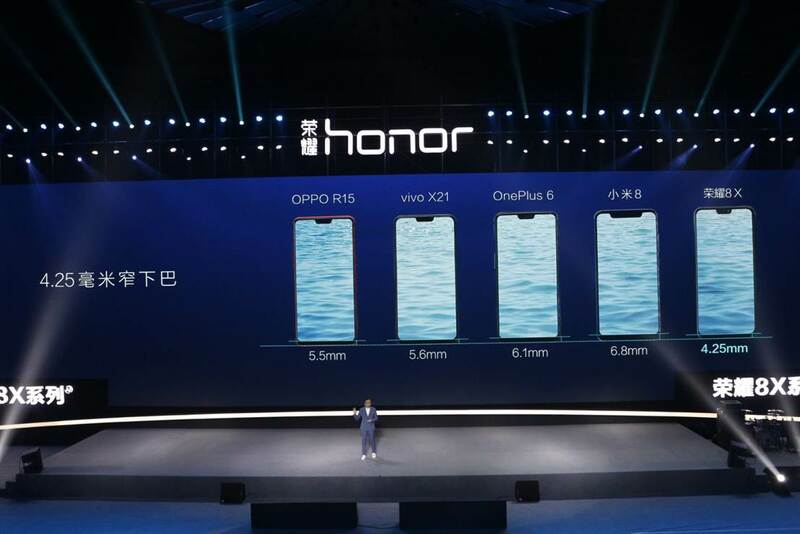 On September 5th, Honor announced the Honor 8X in an event held in China. One of the highlighted features of the new mid-range phone was the 91% screen-to-body ratio. This gives the phone minimal bezels and an impressively small chin at the bottom of the phone. 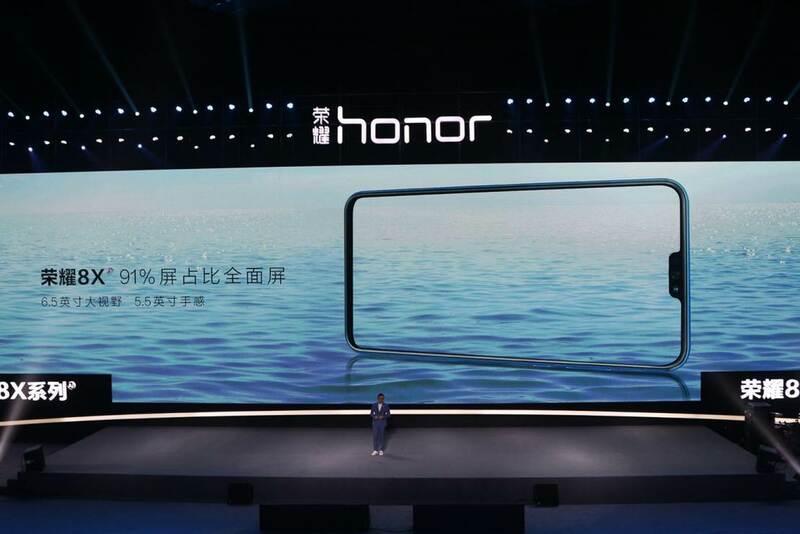 The Honor CEO talked a little bit about what technology they used to achieve this result. We got to hear a little bit about COF and how that allows the phone to have a much smaller chin. COF stands for “Chip on Film” and replaces the traditional COG (Chip on Glass) method. Compared to COG technology, COF reduces the bottom border of the device by 1-2mm. This technology does make the manufacturing process more difficult, which is why you don’t see it on many phones. This graphic shows how the COF can wrap the FPC chip around to the back of the display. This removes the chip from where it would normally sit, which is right at the chin of the phone. This is why Honor can have such a slim frame on the upcoming 8X. Photo from the Honor 8X Launch Event. COF technology is not new, rather it’s usually found only in flagship devices. 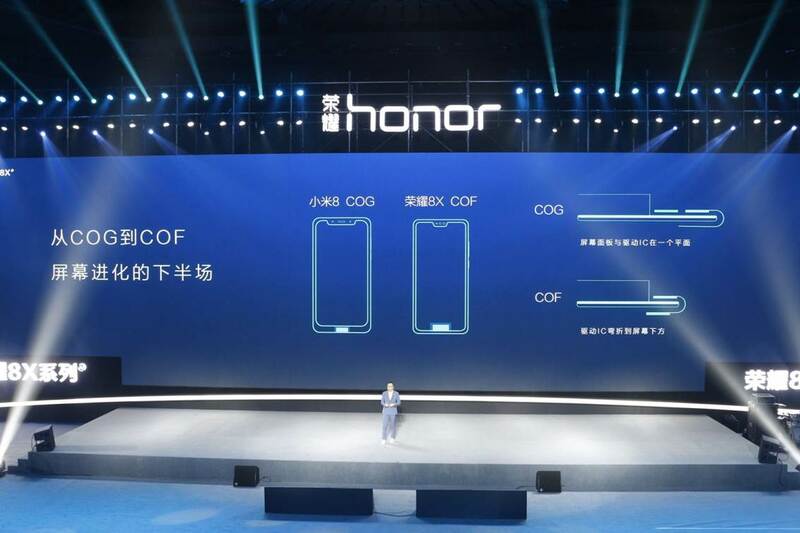 Honor implements COF into the Honor 8X which is a budget phone. The phone will be sold for around $200 once it’s available in the US. Honor has been dominating the budget category of the smartphone industry. The previous Honor 7X model was the most popular unlocked phone on Amazon throughout the holidays. We look forward to getting our hands on the Honor 8X and seeing all the different ways this phone is bringing flagship features to a super affordable device. COG Vs. COF displayed at Honor 8X Launch event. We thank Honor for sponsoring this post. Our sponsors help us pay for the many costs associated with running XDA, including server costs, full time developers, news writers, and much more. While you might see sponsored content (which will always be labeled as such) alongside Portal content, the Portal team is in no way responsible for these posts. Sponsored content, advertising and XDA Depot are managed by a separate team entirely. XDA will never compromise its journalistic integrity by accepting money to write favorably about a company, or alter our opinions or views in any way. Our opinion cannot be bought.